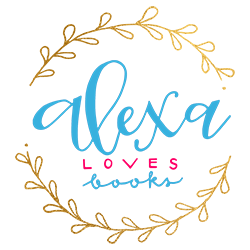 Things I Just Had To Know About Alexa from Alexa Loves Books! So, no, Alexa Loves Books is not my first blog. But ever since I started it in 2011, it is the one I’ve worked hardest on, and the one I really enjoy the most. I like to focus mainly on bookish content, but occasionally, I venture into more personal waters or tap into my other interests. I really do love it! I’m obviously not the most creative person in the universe, hence the straightforward nature of my blog name: Alexa Loves Books. While I’ve often debated changing it, I can never really bring myself to take the plunge! While my love for books and reading is not all that I am as a person, it’s definitely a huge chunk of who I am and will always be. So, I think this blog name will be fitting for the rest of my life! • How long were you running your blog before you started getting many followers? Oh wow, I honestly don’t know! I definitely remember that it was way past the one year mark (perhaps even the two year mark) before I really had a regular audience and steady amount of readers. It’s interesting to look back at this, because I’ve just realized that when I really started embracing my writing style, I also really started having a loyal readership. • Walk me through the process that you went through to get your blog to where it is today. Honestly? It was a lot of trial and error. I tried lots of writing styles (particularly when it came to voice), before I found this casual yet professional tone that I tend to embrace in all my reviews. I also toyed with a variety of content, including memes and new features, really figuring out what I enjoyed reading, what I wanted my readers to see and what I enjoyed creating. It was also really only in the last three years or so that I really learned my way around social media, especially Twitter and Instagram. I’d like to think I’m pretty good at maintaining steady content on both! (I’m still working on Facebook, and trying on BookTube for size.) I like to reevaluate every so often to see what’s working, what isn’t, what I can let go of and what I want to try. I average 15-20, though on a good month, I can read 25-30! • What book did you read most recently that you loved, and would recommend to everyone? Can I give two recommendations? They’re both in different genres and can appeal to different readers. 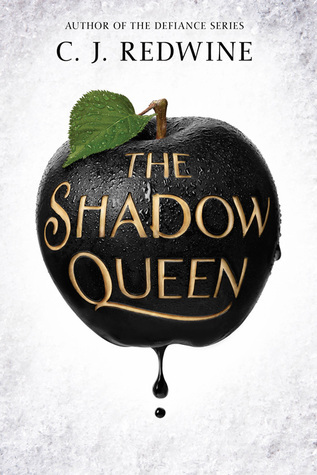 First, The Shadow Queen by C.J. Redwine. This is the best fantasy YA I’ve read so far in 2016! It’s inspired by Snow White, and you can see where the author draws on recognizable elements – but she totally makes it her own. It’s clever and funny, swoony and emotional, and I was really drawn in from start to finish. And second, The Deal by Elle Kennedy. This is the best NA novel I’ve ever read (yes, I said it!). I really enjoyed the humor, the heart, the irreverence, the writing – and I definitely swooned and giggled a lot while reading it. • If a new blogger came up to you today, and you only had a few minutes to talk, what would be your best blogging tip? Find your voice! There are so many blogs (bookish or otherwise) that exist, and the only way you really stand out is if you embrace the voice that makes you you. It took me years to learn this (and it might take you a little time), but it’s definitely one of the best things you can do. It’ll set the tone and style of your blog right from the start, and it’ll help with being consistent for your readers. This doesn’t happen very often! However, I will say that I think The Maze Runner is better as a movie than as a book. I saw the movie and was pretty impressed by it; I read the book and it was okay. • Are there any popular books you know you would never read (i.e. 50 shades of grey, tell us which one)? 50 Shades of Grey is definitely one I wouldn’t read! I tried, once, but it just didn’t work out. I also don’t think I could ever bring myself to read Gone Girl, or anything else by Gillian Flynn, because I’m not really into those types of stories. My newest blog feature is a collaboration with my friend Lindsey from Bring My Books! We started a feature called “Tracking Down Tunes”, where we’re sharing a monthly playlist of new to us songs and song recommendations for each other. I love that I’m really getting to experience more music, and that I’m allowing myself to venture out of my musical comfort zone! First, thank you, Kaitlin, for interviewing me! I loved answering your questions. And to all the readers out there, I hope you enjoyed seeing my answers. If ever you have any specific questions about blogging, or even if you just want to talk about books, please feel free to reach out on Twitter or email. I promise I don’t bite! Thank you so much for being a part of my blog Alexa!! PS: Anything else you would like to ask? Previous Top Ten Tuesdays – Most Recent 5 Star Reads!